Property Search Search our national database by type, size, location, price, and more to find properties. Regional Investment Markets We have nearly 2,000 sales and financing professionals who know the nation's key real estate investment markets. Investment Property Types We specialize in all major property types and markets from apartments to hospitality, retail to self-storage, and everything in between. National Specialty Divisions We specialize in over a dozen property types, with dedicated professionals who understand each of their unique dynamics. Marcus and Millichap closes more real estate investment sales than any other brokerage firm—over 60% of which involve a 1031 Exchange. Our leading market position, coupled with extensive investor relationships, gives us access to the largest pool of qualified buyers, including exchange buyers. Loan Inquiry Contact us to be matched with a financing professional. Loan Rates Stay abreast of the latest rates and debt market information. Calculators How many apartment units should you consider owning? How much debt can you afford? Our loan calculators will help you decide. Through its long-standing relationships and market knowledge, Marcus and Millichap secured difficult financing for its buyer where other mortgage brokerage firms had failed. Learn more about what made this case especially complex and how Marcus and Millichap overcame the financing obstacles. Research Services Our Research Team produces more than 1,000 products annually and is a leading source of industry trends and market information. 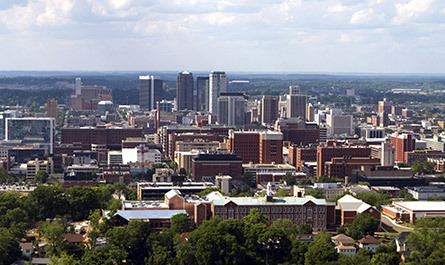 Closed over 350 Million in commercial real estate transactions in and around Alabama. Eddie Greenhalgh began his career with Marcus and Millichap in 2006 as an integral component to establishing the Birmingham, Alabama office. Mr. Greenhalgh is the Alabama Broker of Record and was promoted to Senior Associate in 2012. Since joining the firm, Mr. Greenhalgh has represented both buyers and sellers of investment real estate closing over $200,000,000. He is currently serves on the board of the Alabama Self Storage Association and the leadership council of the Alabama Center for Real Estate. Mr. Greenhalgh is committed to providing superior services for his clients specializing in Self Storage, NNN retail, and Multi-Family assets. There are additional transactions closed, contact us for more. Marcus & Millichap is a service mark of Marcus & Millichap Real Estate Investment Services, Inc., © 2019 Marcus & Millichap. All Rights Reserved.